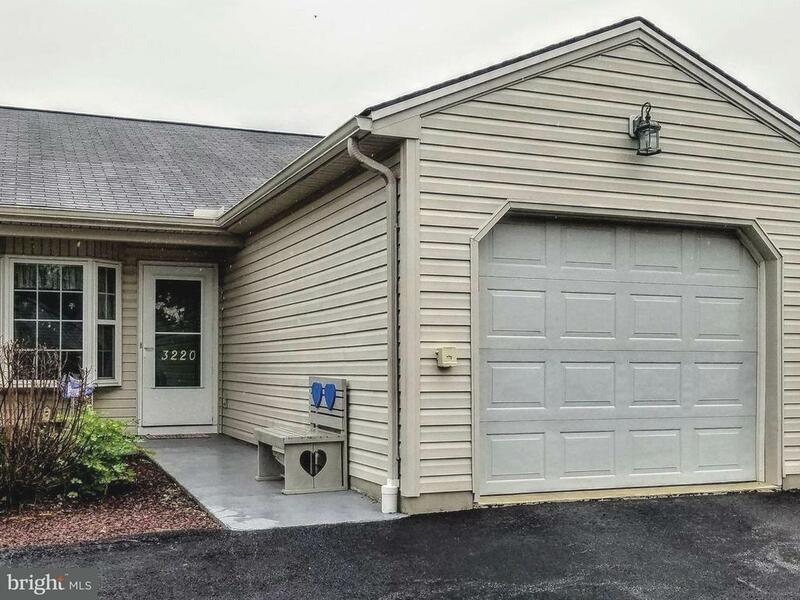 Enjoy carefree living in this cozy 2 bedroom 1 bath single level home in a quiet 55+ community. Move in ready with a flowing floor plan. Enter into your living/dining room with large bay window in dining area. Two spacious bedrooms one with slider to rear patio, large closets, convenient laundry area. New hot water heater, all appliances convey. This home also comes with a 1 year basic home warranty. Dont wait, schedule your showing today and leave the mowing and lawn care to someone else.